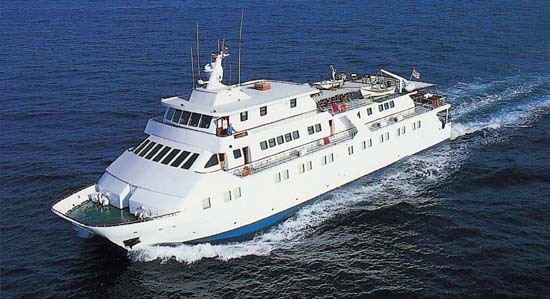 The twin-hulled HALCYON, built in 1992 and completely refitted in 1997, accommodates up to 46 guests in a relaxed, congenial atmosphere. On board, you will enjoy magnificent sea views as you stroll along its more than 2,500 square feet of open deck furnished with comfortable deck chairs, or have a delightful meal al fresco. You can relax with friends in the handsomely appointed lounge, browse in the well-stocked library, or visit the bridge to learn about navigation. Ocean-view dining is convivial and unhurried in our unassigned seating. All 23 of the beautifully furnished cabins face outside. Each is equipped with lower beds, a private shower and toilet, individual climate control, radio and telephone. A platform on HALCYON's stern enables you to swim when weather and anchorage conditions permit. 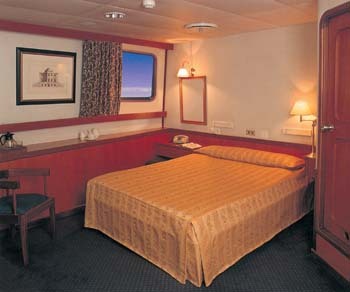 ACCOMMODATION : For 46 guests in 23 cabins facing outside. 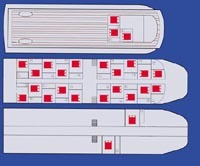 All cabins, with ensuite facilities.